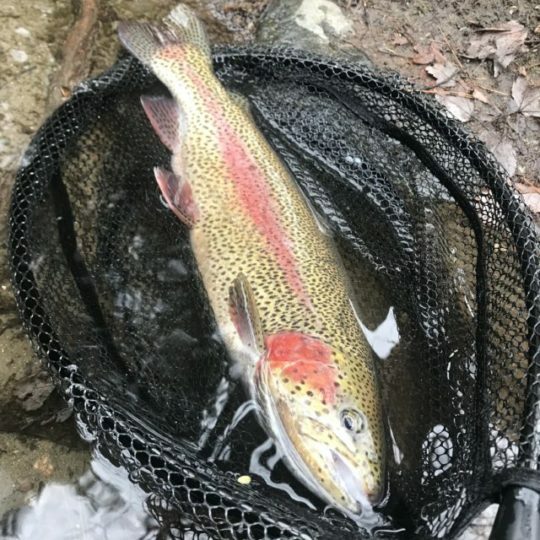 Fly fishing is amazing. 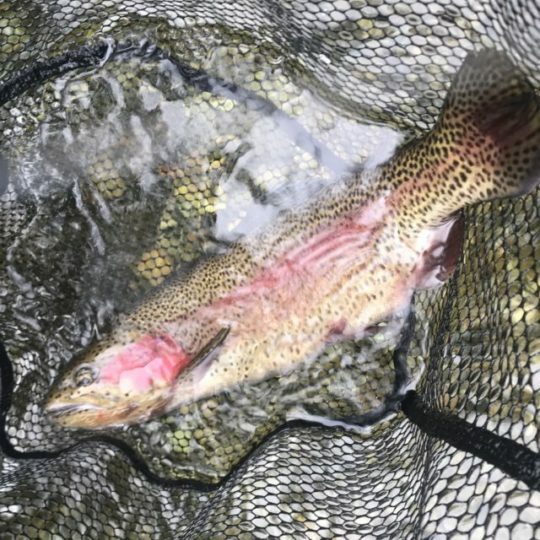 Fly fishing with friends is even better. I’ve said that before, and I really mean it. Today, Alex, Ashu and I got together. What was supposed to be a half-day ended up being much longer. There were many laughs, many fish, and a few tears when fish popped off. 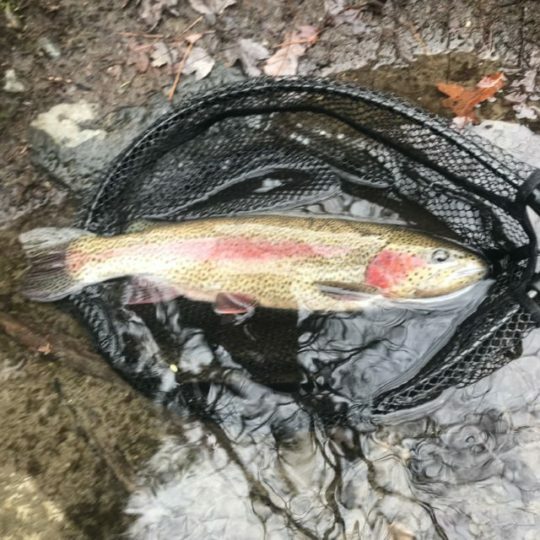 Ashu and I have been fly fishing in earnest since 2014, and Alex started up in 2015. So, no one is at a point at which he considers himself an expert, but we all want to learn more and do better. I hit the river parking area before dawn and was the fourth car in. 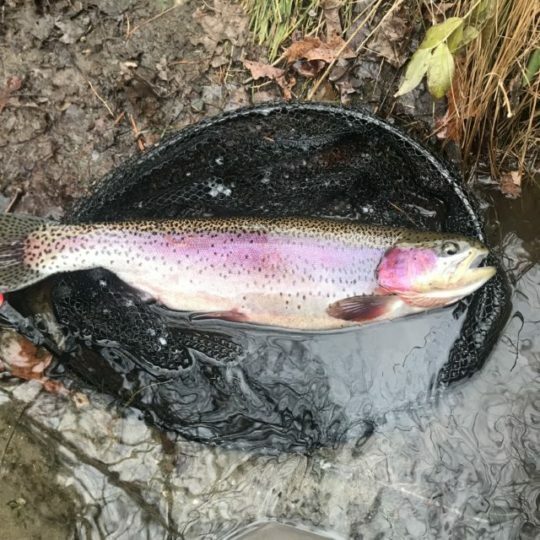 Thanksgiving week is a popular time to fish. I got to the river at first light, and the other guys rolled in soon thereafter. We were fortunate to get into fish all day and at various spots. 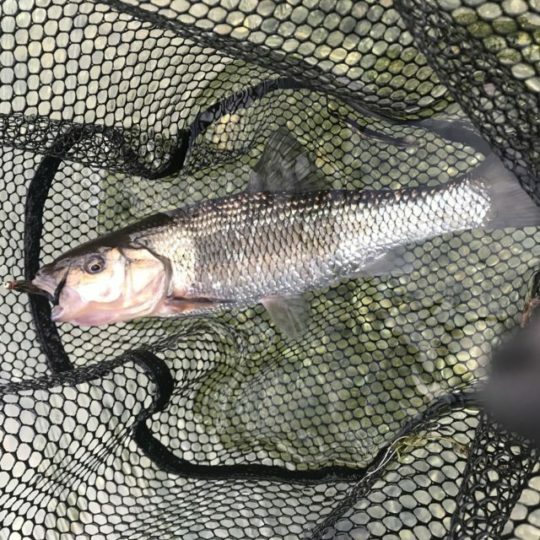 I had a multi-species outing and landed a few dozen, I think. Much of that is because the three of us collaborated, shared flies and advice, and rotated spots. Team work makes the dream work! It was an unexpectedly high-volume outing for us. 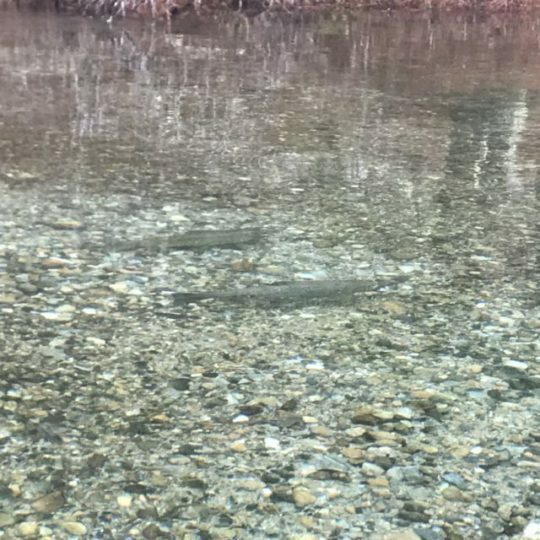 For me, the highlights included seeing some landlocked salmon (we did a good job, I think, of not targeting actively-spawning fish and not trampling on redds). 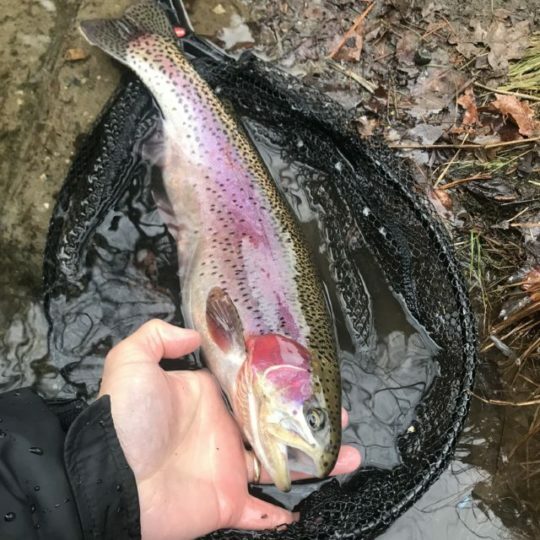 I also landed an amazing ‘bow, which I think is the prettiest fish I’ve caught all year. 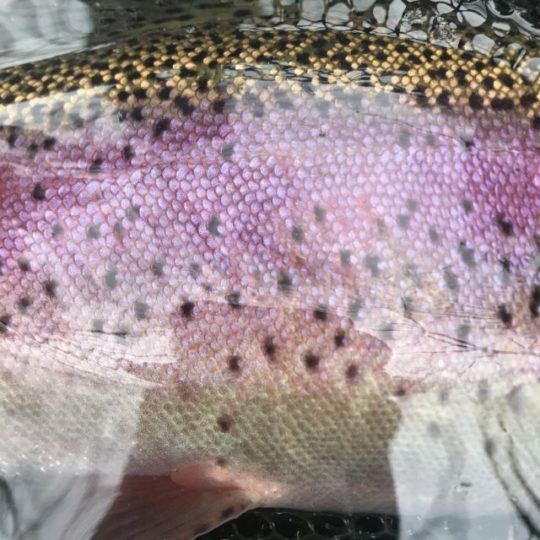 Corpulent, healthy and with a very unique pink hue. Here are some unfiltered photos. Moreover, at one point, we landed quite a few fish and had that particular stretch to ourselves for hours. I had to bail mid-afternoon. Alex and Ashu, being incredibly persistent fish hawks, kept going. 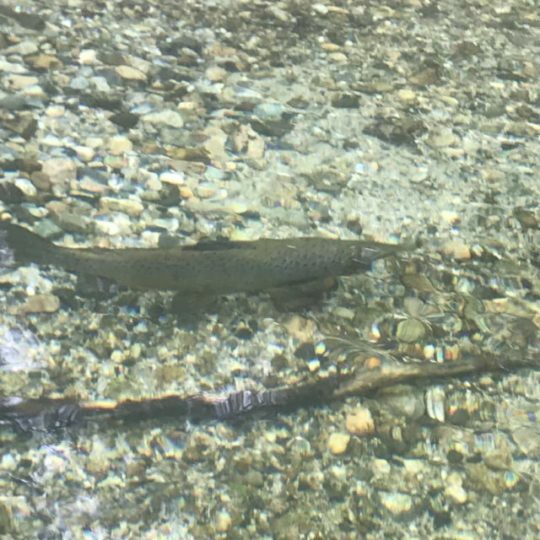 When I got home, Alex sent a picture that is emblematic of complete and total piscatorial victory: a large landlocked salmon. Neither Ashu or I landed a salmon, and we all took care to minimize foul-hooking. We wanted a “real eat.” Alex’s fish was fair-hooked, and I’m so happy for him. Ashu and Alex, thank you for your genuine friendship and generosity. You’re great guys, and it’s a privilege to be your friend. Last, a very Happy Thanksgiving from our blog team to all of you! We really appreciate your support and encouragement. Peace and blessings to you and your families. The feeling is mutual Jo! I always enjoy fishing with you and the other guys. I learn a lot and there is never a shortage of good laughs. Wishing you a very happy Thanksgiving! Happy Thanksgiving! Wish I could have made it out with you guys but was on my way home for the holiday. Glad to see you guys had such a good outing! Congrats on the good action! What flies were working and how crowded was it? I fished Bondsville yesterday for a couple of hours, but got no action on soft hackles and streamers. Each of us had our go-to flies. For me, a scud pattern did well. Traffic was moderate, surprisingly. Very high flows, FYI, for those nervous about wading. Different flies seemed to be working above route 9 than below. Gray scuds were by far the best performer below. Above, the usual midges and even eggs produced. 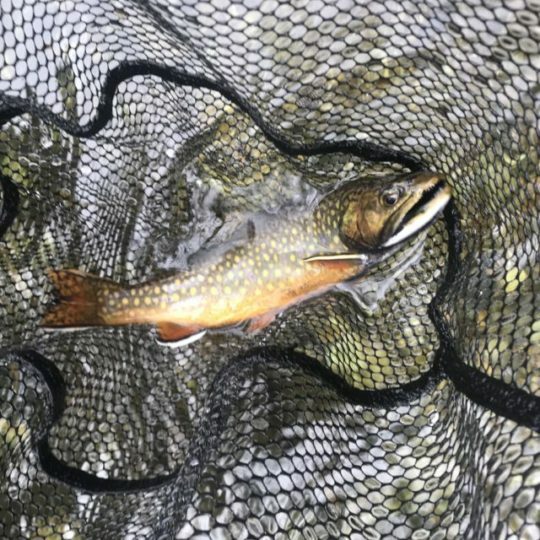 I went above rt 9 for a bit towards the end of the day and I got into a brookie and LDR’d a couple bows on a disco midge. Thanks for the fly recommendations, fellas. 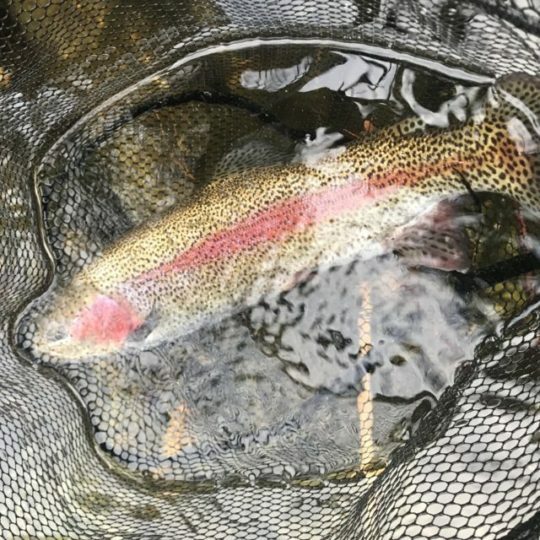 I like my solitude when fishing, but if I ever want to connect with a salmon I will see if I can find a slot to fish in the upstream Swift.